For years Alaskans have been among the few reliable customers for Blockbuster. Now, even here, the once ubiquitous video store brand is fading. In the last few months, several Blockbuster stores have closed or announced coming closures across the state. The one in Wasilla shut its doors in February. The North Pole Blockbuster, located on Santa Claus Lane, will close this week. A Facebook page for Blockbuster in Alaska announced the store at the corner of Old Seward Highway and Huffman Road — one of two locations in Anchorage — would end its rental business on April 1 and start its inventory sale this week. People commented on that post with crying emojis. One person pleaded, "Stop closing stores Blockbuster Alaska! You're all I believe in anymore." Another wrote, "Can you explain WHY you're closing down my childhood!!!!!!!" As movie watchers began to increasingly stream films online, video rental businesses around the country have struggled or vanished. The trend appears to be catching up to Alaska. 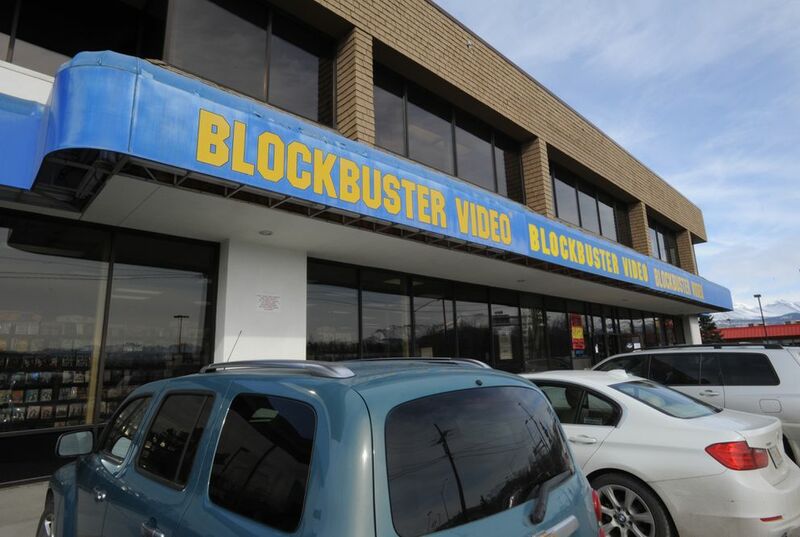 In 2013, when hundreds of Blockbusters closed nationwide, 13 in Alaska remained open. In 2016, that number was down to nine. When the most recently announced closures are finished, Alaska will have just three Blockbusters left — in Fairbanks, Soldotna and an Anchorage location on DeBarr Road at Boniface Parkway. "We're running them as long as we can but those just got to a point where it didn't make sense anymore," said Alan Payne. He's the owner of Austin, Texas-based Blockbuster licensee Border Entertainment, which owns the Alaska locations. Payne said that while the business has been struggling for years, sales plummeted in September. "Here we are six months later and it really hasn't changed very much," Payne said. "I don't assume to know exactly why." 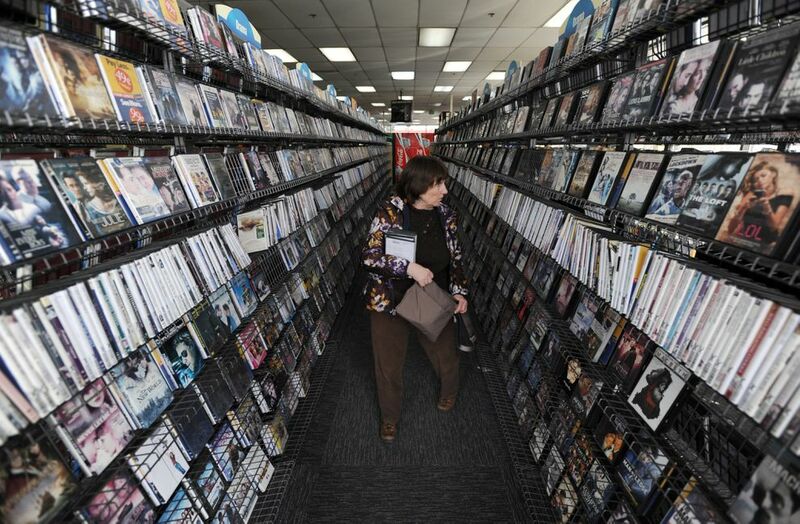 Some video store owners and managers in Alaska have cited pricey internet here as one reason customers keep coming in to buy and rent movies. Payne told the Anchorage Daily News last year that social media has also been a hit to business. "It's the competition for the entertainment time and the casual time,"' he said at the time. "It's not just streaming, it's a whole lot of other things." Alaska's Blockbusters typically have about 10 to 15 employees at each store, Payne said. The job cost of closures over the last year is likely somewhere between 50 and 75 positions, he said. Payne's Border Entertainment also owned Blockbuster stores in Texas, the last of which closed earlier this year. Outside of Alaska there is just one other Blockbuster left in the U.S. It's in Bend, Oregon. Two other locations in Oregon closed over the past few months. Sandi Harding, general manager at the Bend store, credited regular customers and a strong tourism industry there for her Blockbuster sticking around. "We're still hopping," she said. "I don't think it's any different than it was five years ago when Blockbuster closed all their stores. I'm not any more nervous than I was then about it." Still, she acknowledged how Blockbuster's pie has shrunk as people flocked to Netflix, Hulu and other ways to get movies and TV shows. "There are just too many options out there," she said. The last few closures have been "unusual" in the amount of attention they have attracted, Payne said, especially from national media outlets. He said he got a call from a TV show inquiring about the North Pole store closing. People even want to buy the store signs. "It seems to kind of bring up a lot of nostalgia," he said. So what does he think the future holds? "I wish I could say that it was rosy. It's not," Payne said. "I don't anticipate any dramatic positive changes in the business. We're just managing the decline as best we can."